It’s the holiday season! The excitement of Christmas eve is behind us, but now the real relaxation and fun begins. So, it only makes sense to get cozy and try out some new Christmas online casino games to get the adrenaline pumping and maybe even win some cash to buy presents for the most important people in our lives – ourselves! Here are some excellent holiday-themed slots from one of our favorite online casino software developers Microgaming! Not only are these games a feast for the eyes, they offer great online slots action, and lots of chances to win nice pots. If you’re looking to play right away, just take your pick from one of our recommended Microgaming casinos for Canadian players. Let’s kick things off with one of Microgaming’s most popular online slots for the festive season. Santa’s also entitled to a bit of fun during the holidays. In this game, Santa doesn’t bother with a reindeer-drawn sleigh. He prefers to get on his motorcycle and head out for some beers and Christmas pie. Other fun symbols that appear in this humorous take on the festive icon are Santa’s naughty-looking helpers, golden snowflakes, and of course lots of gifts! 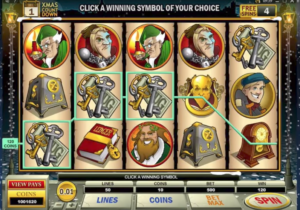 More of a classic Christmas online slot is Deck the Halls. If you really want to immerse yourself in the christmas spirit, this game will do it. The game is packed with cozy images of Santa Claus, bells, reindeer, pinecones, and more. 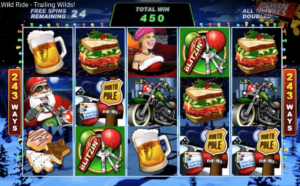 What you should really be looking out for in this game is the Deck the Halls wild symbol as it can lead to you winning a payout of 4000 times your bet. Last, but not least, how about the classic Christmas tale by none other than Charles Dickens himself? The story of Scrooge has been adapted by a number of entertainment companies over the years, including Disney, in its Scrooge McDuck character from the children’s series Duck Tales. Despite being based upon the very stingy Scrooge character, this game offers a lot of treats including multipliers, a bonus round and free spin rounds. The Scrooge online slot by Microgaming stays true to Dickens’ original tale by including all the characters including Scrooge himself, the ghosts of Christmas Past, Present and Future, as well as Tiny Tim. 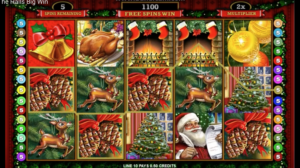 This is a great seasonal online slot game that’s a little different from the usual Christmas theme. 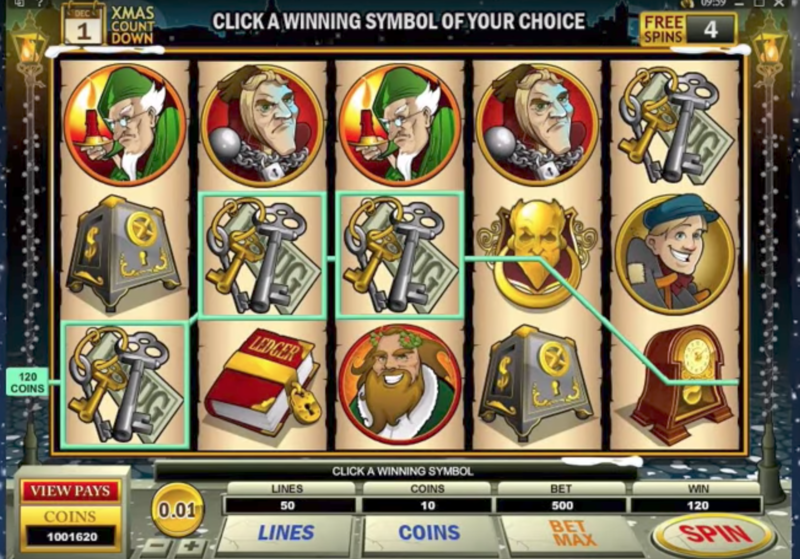 A view of the Scrooge online slot – by Microgaming. The games mentioned above can be played at a number of online casinos, but we suggest playing at these recommended Microgaming casinos that specialize in serving online gamblers from Canada. If these games still don’t quench your thirst for Christmas season slots, then also make sure to check out another of Microgaming’s festive online slots – Ho Ho Ho. 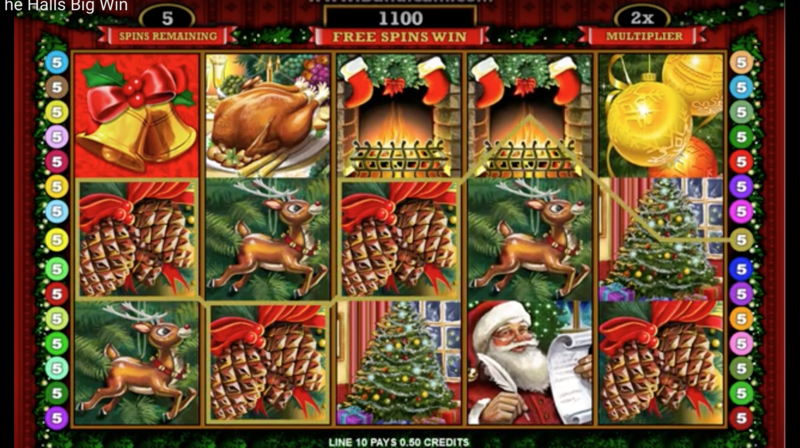 The Ho Ho Ho video slot is one of Microgaming’s older Christmas games, but it’s maintained its popularity, probably because of its bonus spin round and straightforward interface. The game also offers a pretty festive max jackpot of $7,500. Good luck and have an awesome holiday season!